The more I smith, the more I realize how this art encompasses all five elements. Many would say that to work with metal, you must use the four classic elements. Metal of the Earth, heated in the Fire of the forge, which is brought to greater heat by Air, then finally, the metal is quenched in Water. While all this is true, none of it can take place without the smith, who shapes the metal to his Will, who imprents each piece with his Soul, reguardless of conscious effort of doing so. While the four classic elements can all be found in the forge, it takes the fifth to actuall accomplish anything. Why are Blacksmiths called "Black"smiths? 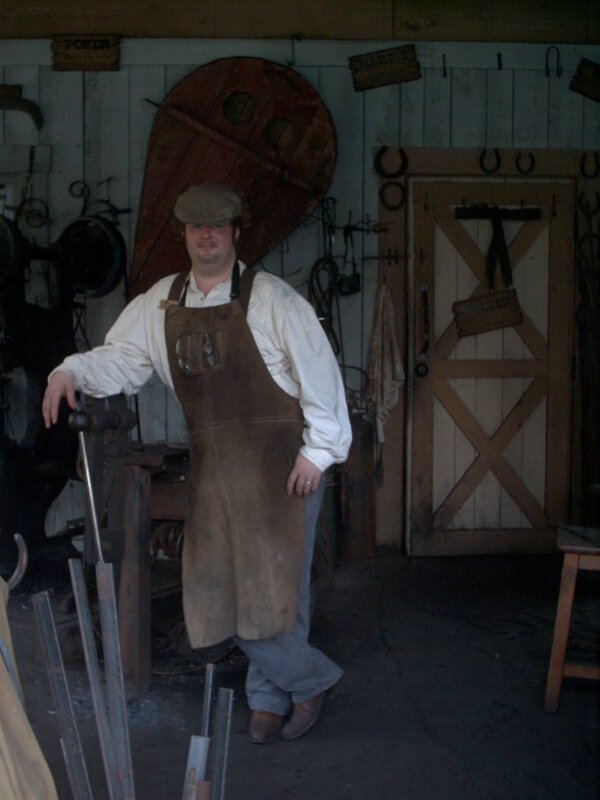 Durring my demonstrations, I answer a lot of questions about blacksmithing and what I do in the shop. Often, if no one has any questions for me, I will ask questions of them. One of my more common questions is "Why are Blacksmiths called 'black'smiths?" The other morning a young girl (maybe 12 years olld) raised her hadn to answer the question. Her answer: "Because they are black?" I didn't really know what to say, so I asked her what she meant, and she said "Because they are black." and pointed to her skin (she was a light skinned black girl, btw, "black" is the most PC term I will use, but I won't go into that here). 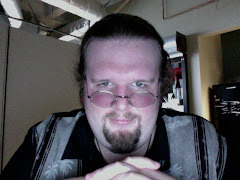 Myself, knowing my own past did not include any African any time in the past 2000 years, looked down at my skin, then back up at her, and said "Well, why I do get pretty dirty in this job, that's not it." I went on from there to talk about how iron is considered a black metal, and so forth. All in all, it was a pretty interesting day. Greetings, and welcome to my blacksmithing blog: Soot Happens. I have reciently become one of the blacksmiths out at Stone Mountain Park. Soot Happens is to serve as a way to blog my progress on the path of blacksmithing. The title comes from something I said on my second day at work. One of the area supervisors came over and commented on the fact that while I had been there less than half an hour, my hands were filthy and I already had black streaks across my face. I couldn't help myself, the words just popped out of my mouth, I told her: "Well, Soot Happens." As things stand now, I have just completed my first full week at the Mountain. Durring this time I have been getting my skills back up to scratch. I have made many tent stakes, botched a couple of hooks, and burned quite a bit of stock. Wednesday, a young couple came up to me requesting a horseshoe nail ring for use as an engagement ring. I informed them that I had never done a ring before, was severly out of practice, and didn't have any horseshoe nails (the SMP smithy is not set up for farrier work). The young man asked if there was anything I could do. I advised him to go into the shop and pick out a nail (we had several simple nails of various sizes) and I would see what I could do. I did manage to fashion it into a ring for the young couple, leaving the head turned on the ring to look kind of like a gem (I know nothing of jewelry terms). Anywho, I believe I am going to enjoy this gig, and getting to hone my smithing skills.